The flowers that I am going to talk about are ones that I believe should surround your fairy garden. The purpose of these flowers is to attract the fairies from the distance as the ones that I mention will often be extremely bright and beautiful. Another purpose of them is to give the fairies a place to explore once they move into your fairy garden. These attractive flowers will make the fairies happy as they are all very pleasant to look at. The first flower and one of my favorites that I recommend is the Calendula. 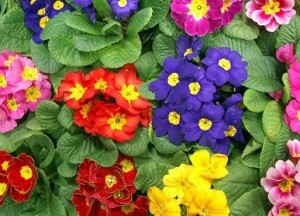 As you can see below, this flower is vibrant and this brightness will attract many fairies to your garden. 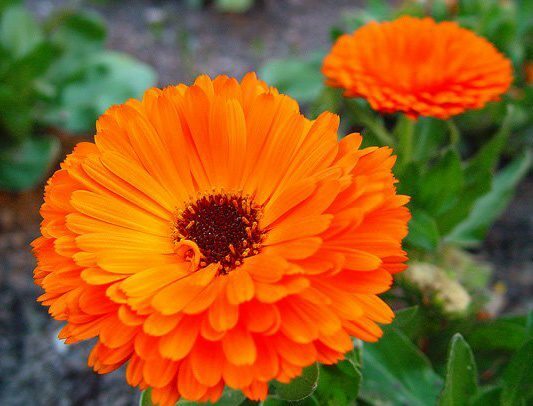 Its popping orange color will look beautiful in your garden. The next that I recommend may seem a little cliche but I believe that it will look very classy in your garden. 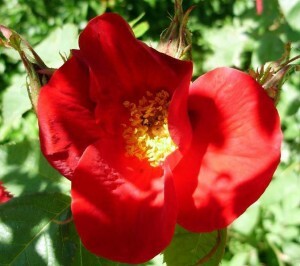 This classy plant that i recommend is a rose. Beautiful red roses will not only attract fairies to your garden, but also make them feel like they are living a high class lifestyle. Primroses are also a flower that highly recommend to add to your fairy garden as they come in many beautiful different colors. 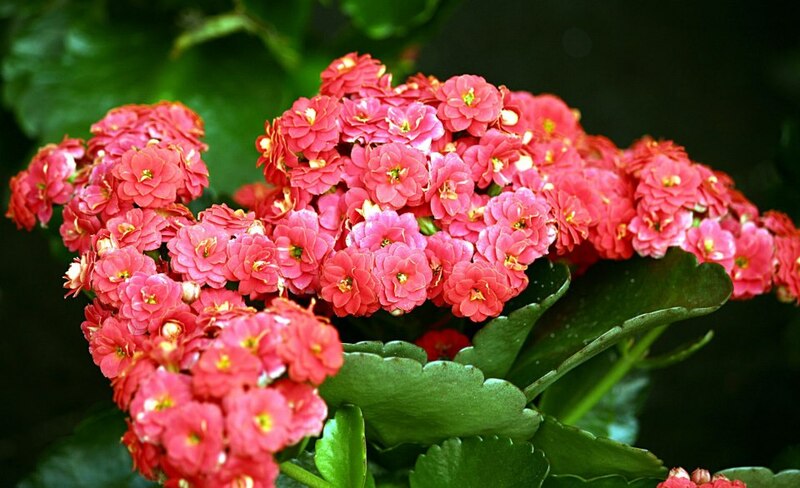 I strongly recommend adding some Kalanchoe to your fairy garden since they are very easy to maintain in fairy gardens that receive a lot of sun. If you do not like the pink Kalanchoe below, you can find Kalanchoes in many different colors.